KUALA LUMPUR (April 26): Malaysia jumped five notches to rank 24th (out of 50) on the Huawei Global Connectivity Index 2017 (GCI) released recently. The GCI 2017 is the fourth annual study that shows how countries are progressing with digital transformation based on 40 unique indicators that cover five technology enablers: broadband, data centers, cloud, big data and Internet of Things. Investing in these five key technologies enables countries to digitise their economies. Through centralised planning, potential connectivity can be fully leveraged and ICT capabilities can support positive growth of national economies. According to GCI 2017, Malaysia received full mark of 10 in its high ratio of mobile broadband penetration. “It is also impressive that they have improved in Malaysians’ affordability for fixed and mobile broadband, scoring 8, which is relatively high as compared to other adopters,” said the report. Commenting on opportunities, the report said Malaysia has rapidly improved its broadband download speed and penetration within last few years, and has outperformed many other southeastern Asian countries. “However, it still falls behind in the establishment of data centers and serving of cloud storage. It could be proper to shift its focus to the next stage of ICT development. “This is to accelerate the deployment of cloud services, data analytics, and the Internet of Things. Malaysia is seeking cooperation with cloud service providers to accelerate cloud transformation for telecoms service providers. They aim to drive the adoption of data center solutions based on its software-defined infrastructure. New IoT Transformation offering could be a modular set of IoT professional services and software solutions that can be tailored to operators’ needs and IoT ambitions,” it said. 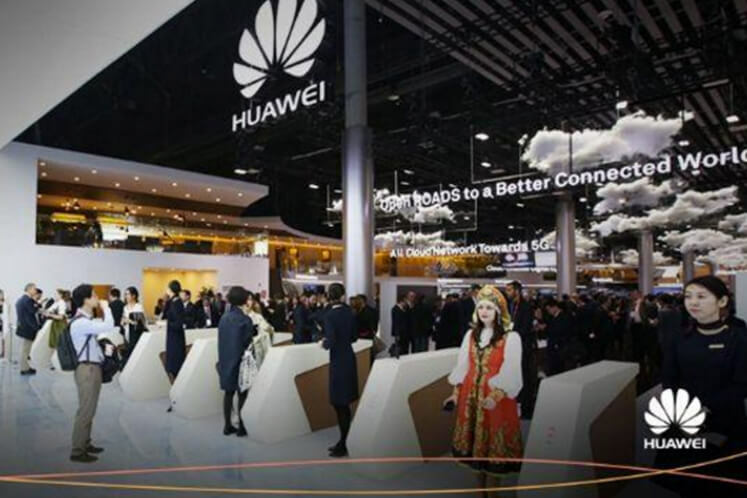 Meanwhile, Huawei of Malaysia CEO Abraham Liu said Malaysia’s climb in ranks on the global connectivity index was not a complete surprise. “We saw first-hand what Malaysia has been doing in terms of ICT infrastructure and we applaud the government’s efforts of its rapid developing infrastructure. “The government's initiative in incubating a startup ecosystem through its Malaysia Digital Hub is a great example for local businesses to get connected in the digital economy. We look forward to continue supporting Malaysia in their efforts to achieve their ICT goals,” said Liu in a statement.